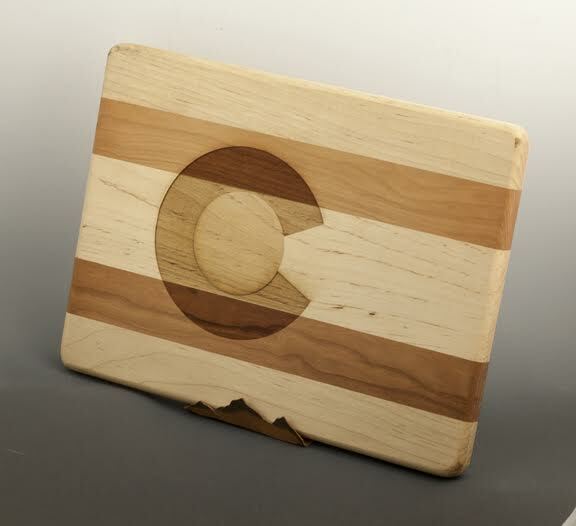 The unique Colorado Flag Cutting Boards are made in Colorado using Genuine American Maple and Cherry Hardwood and specially treated with natural Mineral Oil and Beeswax. The quality of this wood will last for many years. 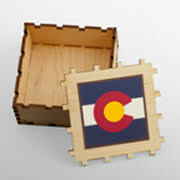 The Colorado Flag is engraved in the wood. 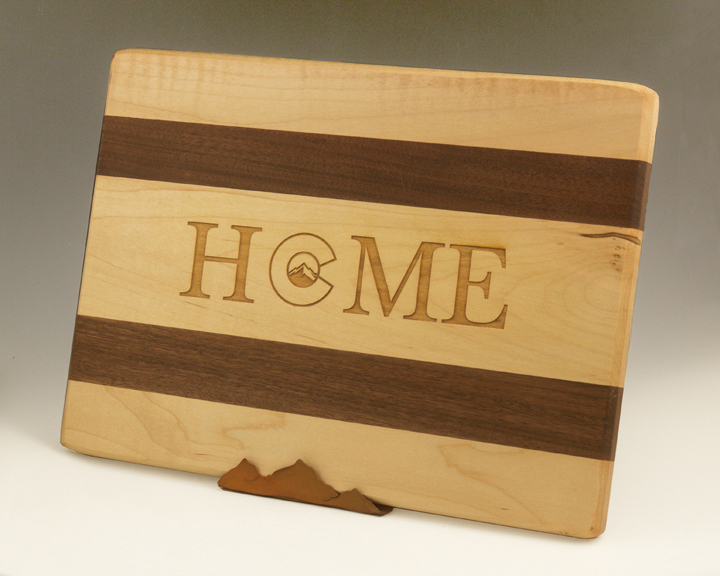 These unique Colorado Home Cutting Boards are handmade in Colorado using Genuine American Maple and Walnut Hardwood and specially treated with natural Mineral Oil and Beeswax. The quality of this wood will last for many years. The Colorado Home is engraved in the wood. 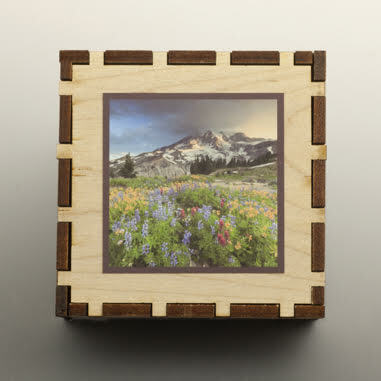 These unique small keepsake boxes are handmade in Colorado using Genuine American Maple wood with precision art crafted designs or photos on the lids. The wood is finished what a low gloss water resistant coating. 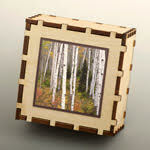 See available photos listed under vertical bark key racks.